And SAM installation YOU ARE ON INDIGENOUS LAND: places/displaces is one of the “Top Things to Do in Seattle” for the month, according to Seattle Met’s Stefan Milne. March 29 saw another edition of the SAM’s recurring Remix event. In case you missed it: The Stranger’s Jasmyne Keimig previewed her “My Favorite Things” tour. You won’t want to miss the next edition, held on August 23 at the Olympic Sculpture Park. Seattle artists resist call to work in new youth jail: Crosscut’s Agueda Pacheco Flores reports on how 4 Culture staff and some local artists are conflicted about the requirement that 1% of funds for the construction of the new jail go to public art projects. Purify yourself in the waters of Lake Minnetonka: KING5 News covers Prince from Minneapolis, now on view at MoPOP. The Everett Daily Herald features an exhibition of paintings by former SAM docent, Phyllis Thornton, now on view at the Mountlake Terrace Library. 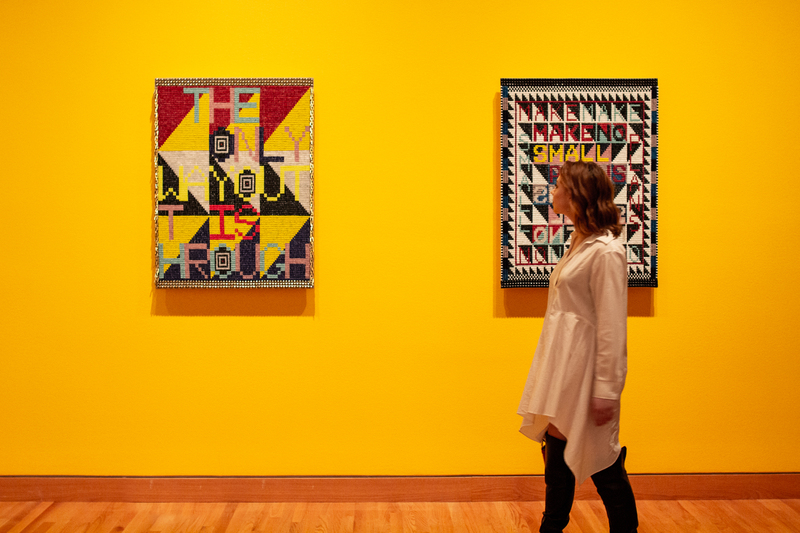 The Do Huh Suh exhibition at the Smithsonian American Art Museum, featuring Instagram-friendly Hub installations of “colorful, life-sized recreations of the artist’s past homes in delicate fabric,” tops the Art Newspaper’s “Art’s Most Popular Survey” for 2018, with over 1 million visitors. The Art Newspaper reports on cause of Rio de Janeiro’s tragic National Museum fire. Muse/News has missed you! Apologies for missing the last two Mondays, but we were busy on vacation in France.